It probably comes as no surprise that your Instagram-obsessed LC.com editors also love a good photo booth. (You know we were first in line to hit the booth at Lauren’s wedding!) 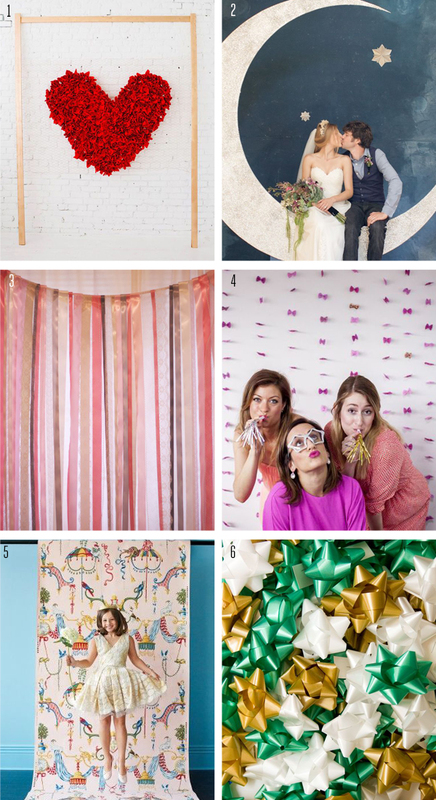 So today we wanted to share some of our very favorite DIY photo booth inspiration for your wedding or other upcoming soiree. 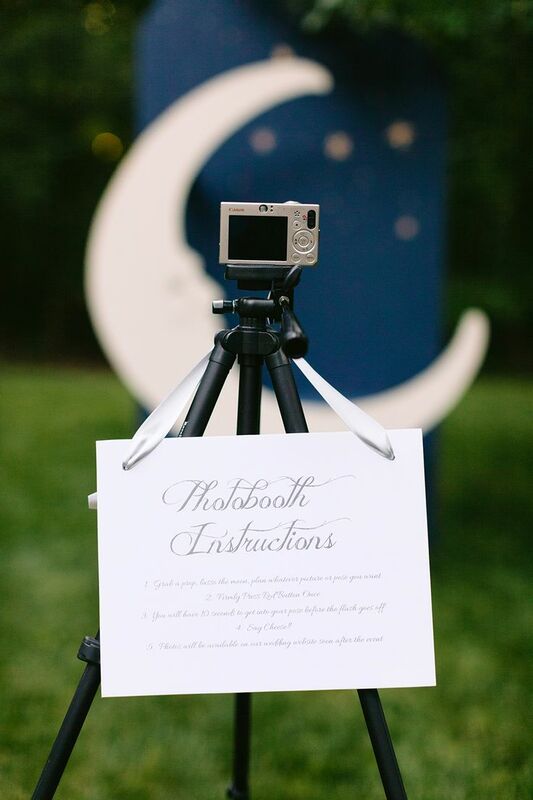 Crafting your own photo booth is a great way to give your event a personal touch. Plus, it’s a wallet-friendly alternative to renting one if you’re a bride on a budget. No matter what backdrop you choose, setting up a DIY photo booth is a lot easier than you think. If you don’t have a photographer to man it, you can simply set up a tripod with a Polaroid or digital camera on a timer. If you use a digital camera, we suggest uploading all your photos to a photo sharing website or Facebook album the next day. Or, in this age, you can simply encourage guests to snap photos on their phones and share them via social media in real time. You can even have Selfie Sticks or GorillaPods on hand for your guests to use. 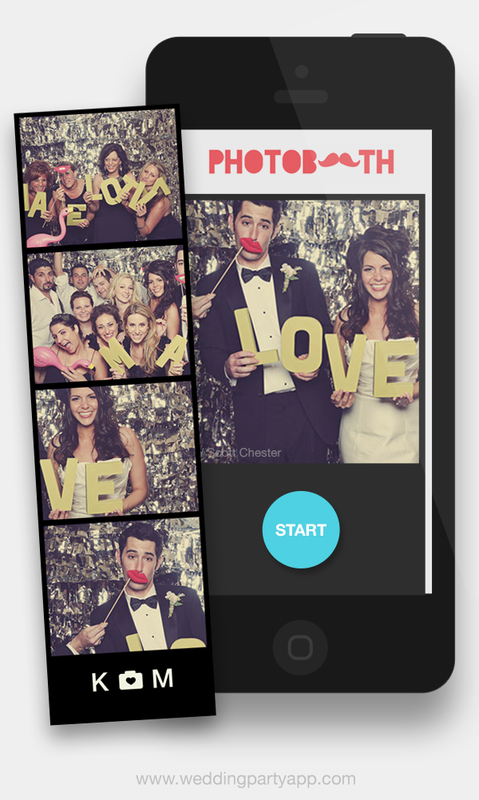 For the tech savvy bride and groom, we especially love Wedding Party’s new photo booth feature for smart phone snaps. It takes 4 photos in a row, which you can then arrange into a photo strip, photo square, or a fun stop motion GIF. It’s a nice way to inject a little classic photo strip charm into your modern photo booth. Plus, the photos can then be shared in Wedding Party’s private photo stream for all your guests to enjoy. So fun, right? Which one of these ideas is your personal favorite? We can’t believe No. 4 is made out of bow noodles!